Cuyahoga River fire, 1952. Courtesy clevelandmemory.org. Stormwater system, Concord Center strip mall, Mequon, Wisconsin. Credit: Aaron Volkening, CC BY 2.0. These are just local examples. Others abound if you know where to look for them, including the almost miraculous recovery of Alaska’s salmon fisheries, when statehood fostered better management policies; the widespread reduction in overfishing of US fisheries stocks since the 1970s and the removal of lead from gasoline, paint, and other products; among many others. None of these successes were easy (see Merchants of Doubt, by Oreskes and Conway) or quick, and many require sustained attention and effort even now. But they happened, and they provide models for us today, from charismatic leadership to forceful advocacy to scientific breakthroughs and creative policy development. We, and especially my son’s generation, need a message of hope and optimism founded on actual experience. If we don’t have a reason to hope then we are left with apathy and despair. This is the real value in revisiting and celebrating past successes, rather than just beating the drum about the most recent spate of problems. But there’s a difference between blind faith and the kind of optimism we need. We desperately need hard-nosed, fact-based and creative effort, along with an optimistic vision. This takes an effort of will; it doesn’t happen by itself. The Italian philosopher Antonio Gramsci called it “pessimism of the intellect and optimism of the will,” by which he meant a factual understanding of the present situation grounded in science, combined with the courage to work toward a vision whatever the odds. Or, as Matt Damon’s character Mark Watney says at the end of The Martian when he’s describing to the astronaut candidates how they should respond to the inevitable situations in which they will face certain death, “…work the problem…do the math” and then do it again. 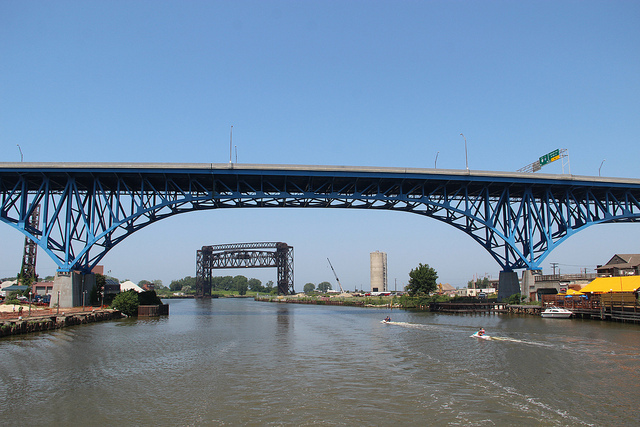 Jet skiers in the Cuyahoga River, 2012. Main Avenue Bridge, Cleveland, Ohio. Credit: cmh2315fl, CC BY-NC 2.0. Not all of us are born with the inherent grit and determination to maintain an “optimism of the will” in the face of the environmental challenges we face. That’s where the successes of the past can provide inspiration and a renewal of hope when we need it most. And a knowledge and celebration of these successes can spur us to support and join ongoing efforts to develop solutions, or create our own, such as catalysts that manufacture liquid hydrocarbon fuels from atmospheric carbon dioxide, cheaper and safer high-capacity batteries that can support distributed power generation and reduce transmission losses, or three-dimensional fabrication that will reduce manufacturing and shipping impacts—the list of people “working the problem” and “doing the math” is nearly endless. Bureau of Sanitary Engineering, 1943. Report on a pollution survey of Santa Monica Bay beaches in 1942. California State Board of Public Health, Sacramento, CA, 69 pp. Dorsey, John H., Charles A. Phillips, Ann Dalkey, James D. Roney, and Greg B. Deets. 1995. Changes in assemblages of infaunal organisms around wastewater outfalls in Santa Monica Bay, California. Bull. Southern California Acad. Sci. 94(1): 46-64. Boris Worm. 2015. A most unusual (super)predator. Science 349: 784-785. Dr. Brock Bernstein is an environmental scientist specializing in program design and evaluation and policy development in areas such as regional monitoring, stormwater management, ocean resources, and fisheries management. He has conducted external evaluations of large-scale monitoring, research, and management programs at regional, state, and national levels. He has served on National Academy of Sciences committees that focused on marine monitoring, coastal governance, and data integration for global change research. Hear him speak about decommissioning oil platforms in coastal California in a recent IEAM podcast. I really enjoyed reading the posting. I also note a sense of environmental despair among students, especially with undergraduates (by the time they are graduate students, they generally have the mindset that they are going to make a difference). In the introductory fisheries science course I teach to undergraduates, I try to reach a balance between the “doom and gloom” fisheries studies and the rebuilding successes. Fortunately, there are a healthy number of successes, especially with local fisheries (striped bass, summer flounder, sea scallop, etc.). It’s clearly easier to achieve rebuilding when the stock lies within the EEZ of a single or only a few countries. Still, even internationally at ICCAT, they have been able to rebuild North Atlantic swordfish and North Atlantic albacore – endeavors that required the cooperation (quota reductions) of many nations. 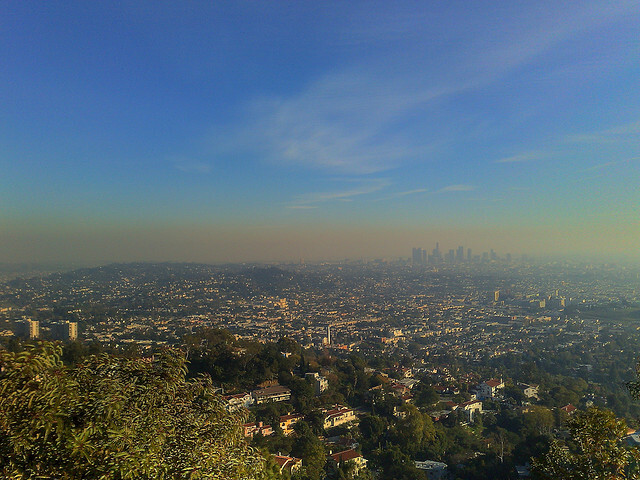 Having grown up in southern California I appreciated the references to smog. I vividly remember having aching lungs and burning eyes. Another bright spot is the recovery of pelicans and some of the raptors with reduction of DDT levels. Here in Virginia, the ospreys and bald eagles have dramatically rebounded. But overall, I can still very much identify with the despair. If one takes a native American philosophy to environmental management, we’ve not done well borrowing from our children. This is a great commentary on why we need positive thinking from our up and coming students to tackle seemingly impossible environmental problems and other societal woes. 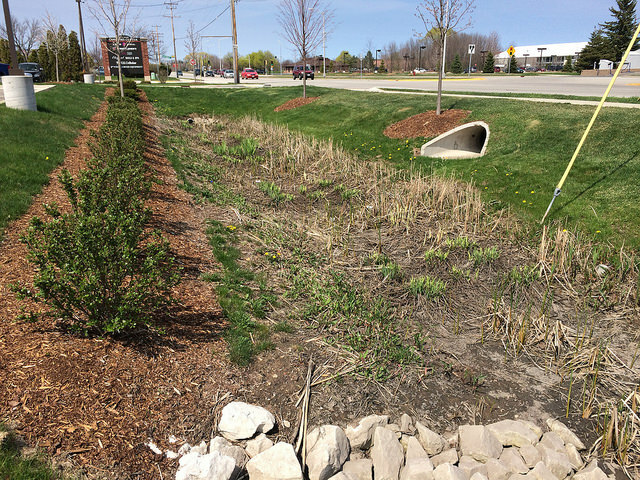 I’ve distributed this blog to my students to show them what can be done, and how applying their enthusiasm and knowledge as environmental professionals is essential for our future. It baffles me how, in the face of so much evidence that we’ll be a smoldering slag heap by the time my grandchildren are my age, many young people can still be motivated to environmental activism. This post may give us the best tools to keep them motivated. 1) We now know, from fMRI research, that humans have a really hard time getting engaged in long-term problem solving, such as that required to address climate change. 2) We also know, from the advocacy side, that constant hammering on constituents, supporters, and members that “THE SKY IS FALLING!!! !” does not inspire them to action. The possibility that something they do can actually make a difference is what gets them to sign a petition, send $5, or call their alderman. Well done, Brock. A good message – and one that I need to keep in mind in the classes I teach. I have had students tell me that my class is the most depressing class they’ve ever taken (definitely not my goal! ), or ask me how I can stay optimistic in the face of all the environmental problems we have. It’s easy to focus on the problems, but it’s important to talk about the successes, too. You might be interested in some of the blogs Peter Kareiva has been doing since he’s taken over as Director at UCLA’s Institute of the Environment and Sustainability, since he has a similar perspective. See http://www.environment.ucla.edu/. Brock what an insightful piece! It definitely resonated with me, as a young professional working in the environmental field. I entered the environmental management field as a scientist wanting to help be a part of tangible change and problem solving some of the big issues of our time. Thanks for sharing your perspectives! This was a very intriguing article! I’m surprised to how many of those successes I was unaware about. It showed me how uninvolved I am with our environment. Thank you for posting this, it’s an informing article that made me realize how little I know about the damage occurring in my environment and all over the world. I would definitely appreciate more articles like these which encourage youths to be mindful of their environment and inspire them to contribute to the earth’s well being for generations to come. Brock, It is always good to have your balancing view and input. It is difficult to be a moderate in a society of extremes. I can’t help but shudder driving through the wild “outskirts” I remember as a child (parts of the San Fernando and Santa Clara Valleys, South OC and North San Diego Counties) which look evermore like Venice, but enjoy having a house in the suburbs of North OC, that was built as I become a teenager. It is uplifting to remember watching wild Condors glide by Mount Pinos, saddening to think of their extirpation from the wild, and rewarding to seeing one from a now larger wild population soar past again. I was out collecting a storm water sample nearly two months ago and was shocked at how little trash I saw going past, thanks to a Trash TMDL that I still oppose because of the “zero” standard it imposes, but proud of the many improvements which had been made, even if zero is still a goal for some tomorrow. Progress never comes easy, but each improvement is a victory for both old-timers and their replacements to savor. As a college student, I have observed the hopelessness discussed in this article firsthand. In discussions on sustainability, students at my school have expressed frustration and doubt that any difference they made could have an impact. One example of how they felt “totally screwed” by previous generations is how they consume the chemicals put into the oceans generations ago due to biomagnification. It almost seems like the damage done in the past is permanent and impossible to fix. I feel most optimistic when professors present solutions that do not require aggregate efforts; Just the other day, my chem professor presented the idea that by finding a way to convert CO2 into CH4 (it has no dipole moment and thus can’t absorb IR), we could mitigate the effects of global warming. Articles like this and presenting possible solutions to students are a great way of reaching out to the younger generation – great article! I agree we have to find tangible solutions that can actually make a difference. I feel a lot of time people set unrealistic goals which create unrealistic expectations. These are all such important points and made with a tone we don’t often hear. I full-heartedly agree that we, all too often, focus too much on the negative and not enough on successes of the past. I also agree that, although we’ve made progress, we need to continue to think creatively about solutions that serve everyone involved – and that means compromise. For example, when fisheries are crashing, we can’t take a “them agains us” attitude toward fishers and tell them they must simply stop a practice that has been passed down to them through generations, forcing the whole of the problem solely on their shoulders. They, too, have families to feed and aspirations to achieve. I have been impressed with some of the creative solutions I’ve seen that involve fishers in the solution to the fisheries problems and, although we’re not “there” yet, I believe we’re on the right track. I hope we can apply this same creative thinking to our global climate “puzzle”. Thanks for this insightful commentary! Thank you for writing this article, Brock. I have shared it with others, and they agree that it is a perspective that we sorely need more of. It does no good to be hopeless. We need to move forward and find solutions to the thorny problems confronting us. It is so important to remind the generations of those coming up behind us of the many true success stories out there – that change for the better can happen and has happened and that they can be part of that change. Great article! Toxic effects of the metal lead have caused great societal harm, but we have made great progress by removing lead from much of gasoline and from house paint. Water system pipes and drinking water treatment have largely been improved to greatly reduce drinking water pollution from lead. It took a lot of effort by a lot of people over a lot of time to make these improvements. Huge industry biases to stall these improvements were gradually overcome by science, logic, and care for a more sane future. Environmental science education AND environmental activism are both critical to the checks and balances that will enable a more sane societal future. So much more desperately needs to be done to further reduce toxic sources of lead pollution, yet we should be very cognizant of our progress and effectiveness of effort. Recognizing incremental progress is essential to fuel our resolve to work with great effort to hopefully ban the use of lead fishing sinkers by sport fishers, since sinkers rolling around in tackle boxes produce fine particulate powder of pure lead that contaminates wet hands, sandwiches, apples, cooler ice, boat bottoms, and fish mucus…. to eventually arrive in the frying pans at home, to repeatedly poison the family. Lost lead sinkers, dispersed into low hardness streams, gradually dissolve and degrade as aquatic pollution to poison the supportive species and the fish we love to catch… we poison all we love. But, up and coming students will turn into activists and scientists that have the existential responsibility to drive further change toward a more sane future that we borrow from our children’s children. there are lots of helpful and unknown information i realy happy for reading this post.